Indivior has issued an eight-page rebuttal contesting the charges. Assistant Attorney General Jody Hunt said: "Indivior promoted it with a disregard for the truth about its safety and despite known risks of diversion and abuse." 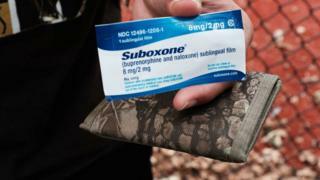 According to the indictment, Indivior "obtained billions of dollars in revenue from Suboxone Film prescriptions by deceiving health care providers and health care benefit programmes into believing that Suboxone Film was safer, less divertible, and less abusable than other opioid-addiction treatment drugs". It said Indivior "lacked any scientific evidence to support those claims". Indivior said: "Put simply, Indivior is not a contributor to the opioid epidemic. Rather, as acknowledged by government experts at the FDA [Food and Drug Administration]and CDC [Centers for Disease Control and Prevention], its medicines are a key part of combatting it. "Key allegations made by the Justice Department are contradicted by the government's own scientific agencies, they are almost exclusively based on years-old events from before Indivior became an independent company in 2014, and they are wrong." Indivior was spun off from Reckitt Benckiser in 2014. The company's shares had already lost some four-fifths of their value before today's news, as it faced increasing competition from generic drug makers such as Dr Reddy and Mylan. The DoJ also alleged that Indivior used a "Here to Help" internet and telephone programme as part of its scheme to induce physicians to write prescriptions for Suboxone Film. The DOJ's indictment said Indivior touted "Here to Help" as a resource for opioid-addicted patients but used the programme in part to connect patients to doctors it knew were prescribing Suboxone and other opioids to more patients than were allowed by federal law, at high doses, and in "suspect circumstances". Indivior denied this and said: "To the contrary, we have engaged in an extensive education campaign to teach doctors about recommended Suboxone dosing limits and patient caps and have developed a process to identify concerning prescribers, going beyond what the law requires."